whatlisawrote: Shoplifters of the world, unite and take over. Shoplifters of the world, unite and take over. Totally addicted to Downton Abbey! It's become a bit of a Sunday evening ritual with my mother that we watch an episode or two before going to bed. 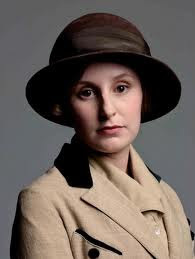 Lady Edith is my favourite of the sisters, poor 'plain' downtrodden Edith. She's the perfect anti-heroine!! And rather stylish too. I've had a very nice weekend - charity shopping is a good cure for a hangover I found yesterday. Especially as I purchased a lovely shiny lycra and black net midi skirt, a coral one shouldered jump-suit with huge flared legs (perfect for dancing the night away to Chic at this years Vintage festival!!!!) and a Garbage album on CD that I used to own years ago. Today I had a spa morning at a hotel near Oxford. One back massage and facial later I left feeling fully rejuvenated! And before you start thinking I'm all hotsy-totsy you should know I got an excellent deal on it through Travelzoo, all thrifty girls need a cheap day of pampering from time to time!! Then I spent the afternoon in the city of spires and picked up a rather natty pair of high waisted checked trousers - very Katherine Hepburn. She's very pretty and not at all plain! I haven't seen Downton Abbey, but then I haven't seen Mad Men either! Downton is a very recent obsession for me, it all started after I moved back in with my parents, before then I'd never watched it! I've not seen Mad Men eiher, it's something I'm planning to get around to. I do like a good period drama, I like Austen but have a real soft spot for Jane Eyre. I'm not though, so keen on Dickens. I have no idea how I managed to miss Mad Men. Of course, now series five is starting I'm annoyed with myself that it was off my radar. Stop teasing us, I demand to see this jumpsuit, it sounds gorgeous! Sorry for teasing, I'll post pictures of all new clothes purchases with me in them ASAP!! 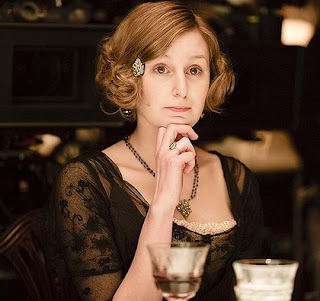 I've not seen Mad Men and up until recently I'd never watched Downton either, it's only since I moved back in with Ma and Pa that my 'period drama' obsession has been re-kindled! I am also a massive Downton Abbey fan, me and my mum watch religiously when it's on!